Run the OSE Gateway setup. If this is the first TT product installed on your machine, the Install Now option installs the OSE Gateway to the c:tt directory by default. If the installation detects previously installed TT products, the Install Now option installs the OSE Gateway in the same directory as your other TT products. 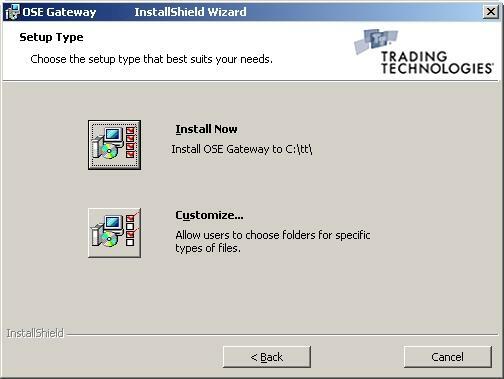 To install the OSE Gateway into the default directory select Install Now and click Next. Skip to Step 6. To install the OSE Gateway in a custom directory, select Customize and continue with the step below. 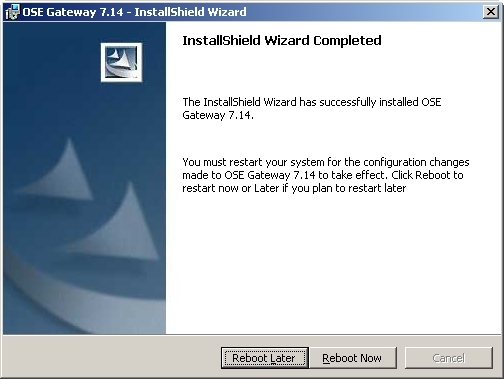 Select Browse and navigate to the location you want to install the OSE Gateway. If this is the first TT product on your TT Trading System, click Next and skip to Step 8. If providing an aconfig.xml file, continue with Step 7. Double-click the file, click Next, and skip to Step 10. Click Yes, and continue with Step 10. Your OSE Gateway installs with its customized aconfig.xml. 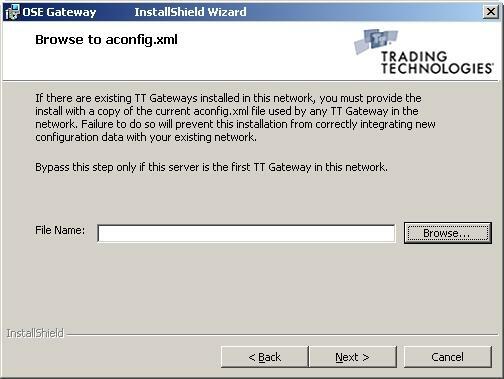 For information on how the TT system replicates aconfig.xml across your TT system, refer to the TT Gateway Architecture System Administration Manual Version 7.X. 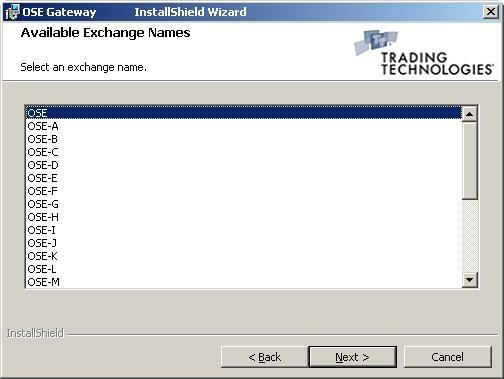 The Available Exchange Names dialog box displays with a list of OSE flavors (i.e., Exchange-Flavors). 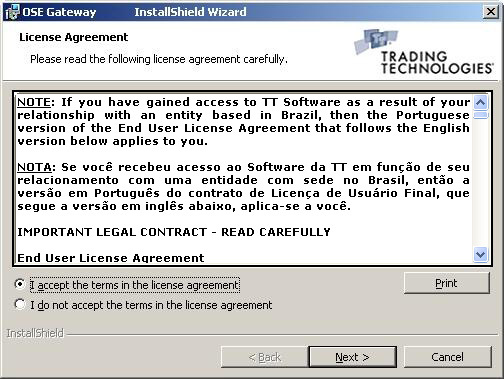 To trade on the TT Gateway, traders must log into this TT Gateway flavor. This flavor (i.e., Exchange-Flavor) appears in Guardian’s tree of Exchanges.